Physical perfection is the law. And an "Imperfect" teenage Queen who defies them all. Click the picture to read about Kandide and the mysterious White Lion. Kandide is held prisoner by Lady Aron in the living cave. 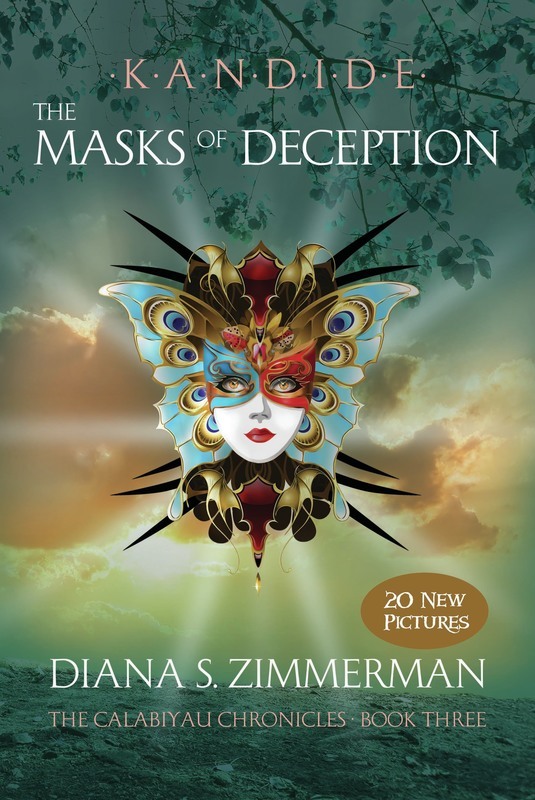 The rendering is from Book Three: The Masks of Deception. "Like Book 1, Book 2 is also a page-turning adventure!" - Air America Radio. What if you had to choose between letting your sister die or saving the land you are sworn to protect? "There really isn’t much that can be said about Diana Zimmerman’s "Kandide" that isn’t covered under "bravo!" 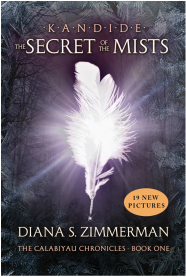 Kandide and the Secret of the Mists is a wonderfully magical adventure that creates an involving tale of fear, loss, and redemption. Strewn all over the land of Calabiyau (namesake of the trilogy) are vivid details that bring the world of the Fée to undeniable life." BOOK 3 - "Kandide The Masks of Deception" is available! 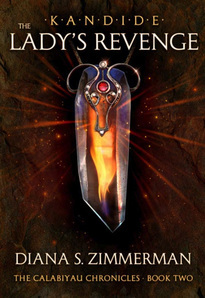 "Book 3 is a stunning new adventure in the Kandide series." - Los Angeles Newspaper Group. Check out Kandide's new Coloring Book. 33 Awesome Illustrations. Click on the cover or the button above to learn more.